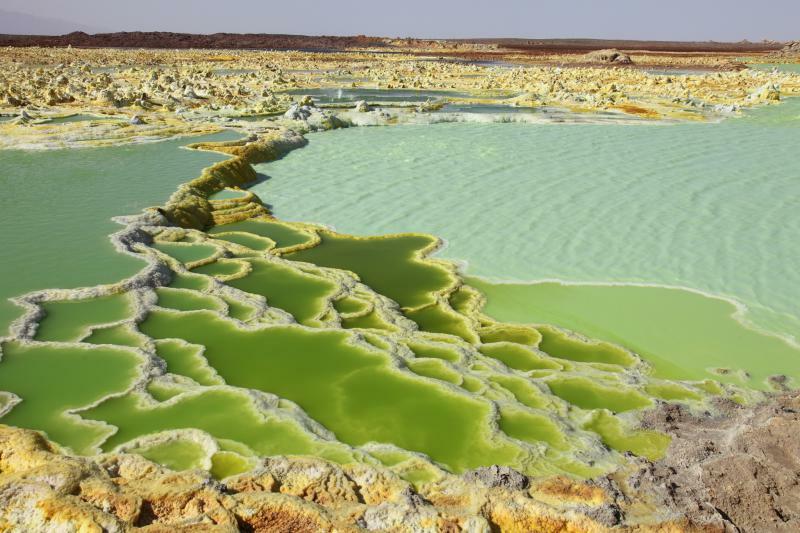 What is the most dangerous and desolate place on Earth? 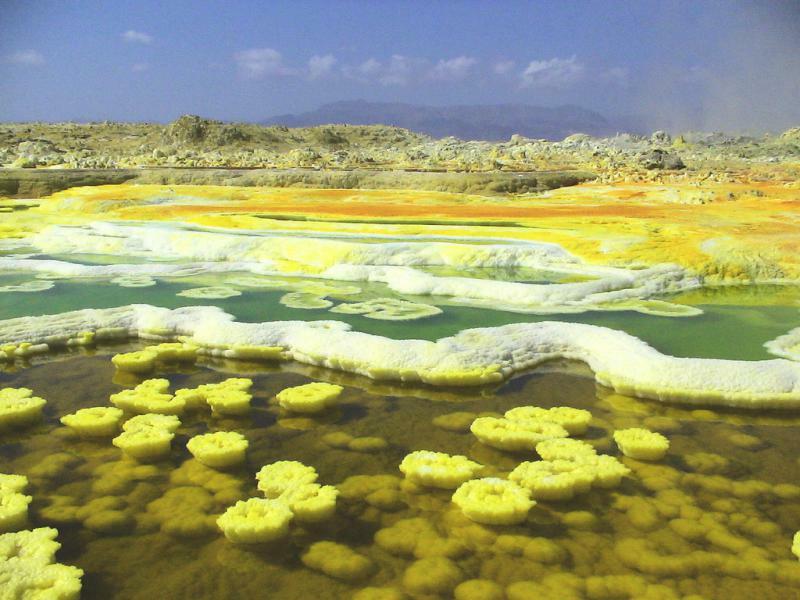 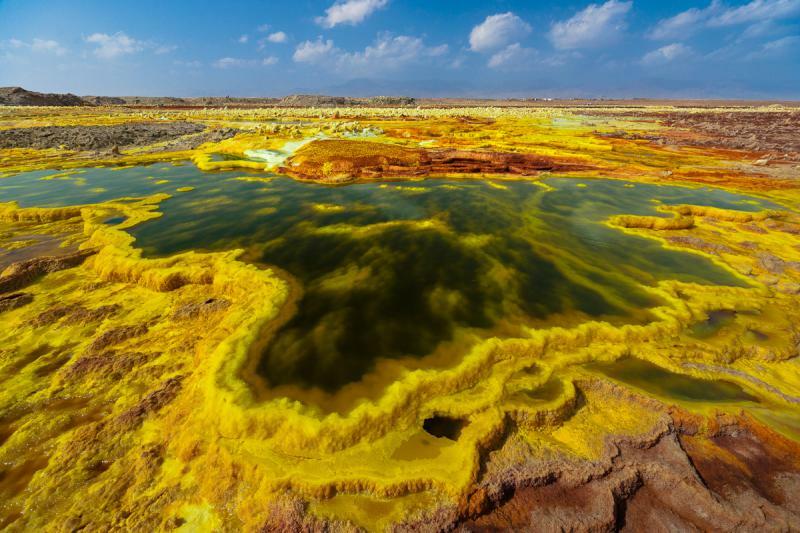 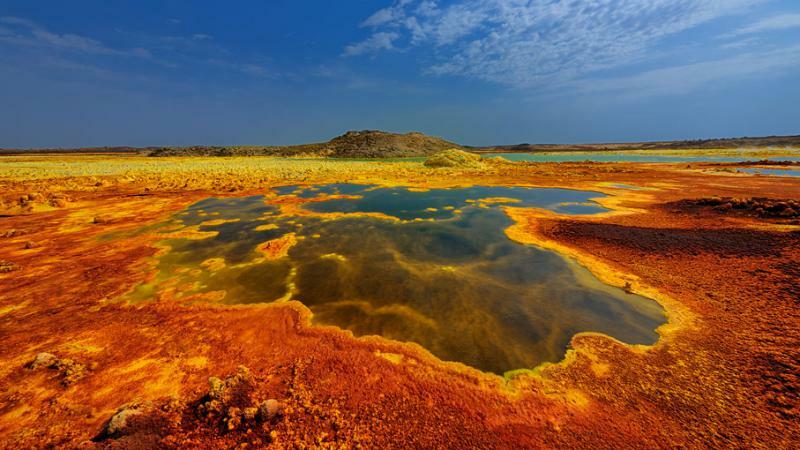 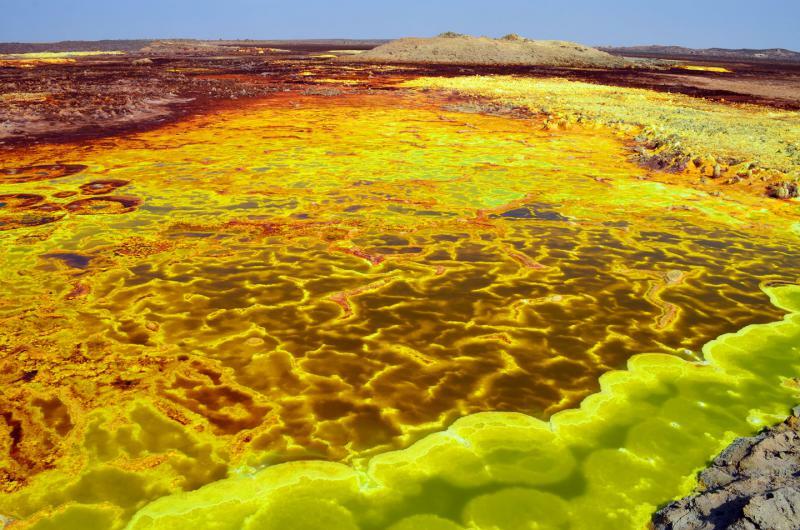 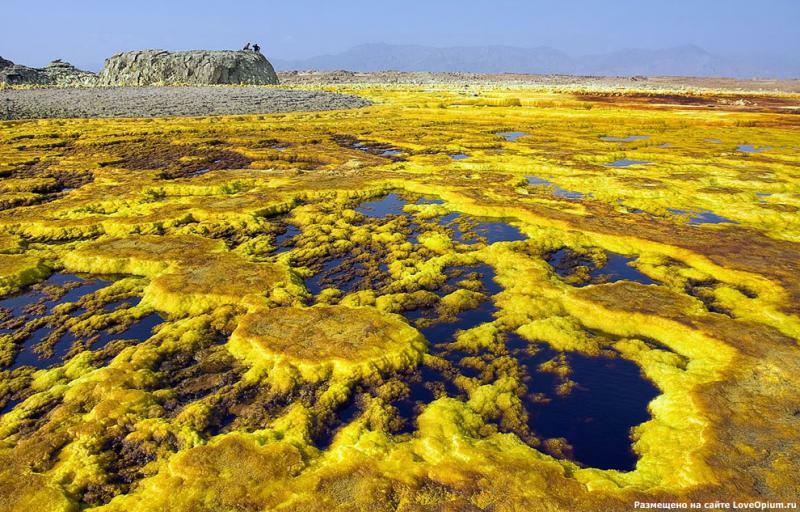 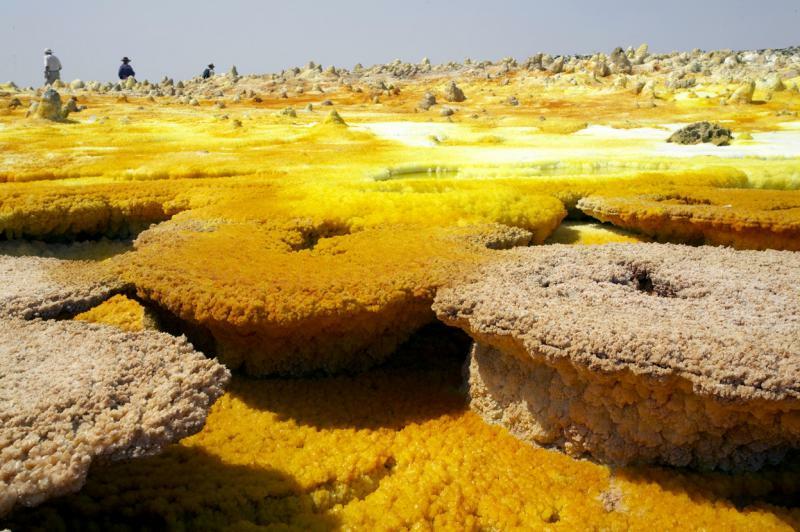 Danakil Depression is surely on one of the top spots. 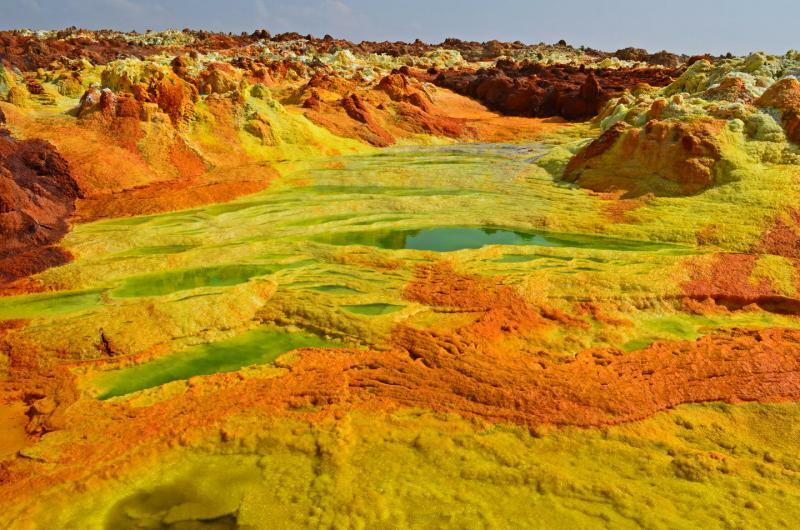 It is a depression, a desert and also one of the hottest places with average temperatures of 34-35 degrees Celsius. 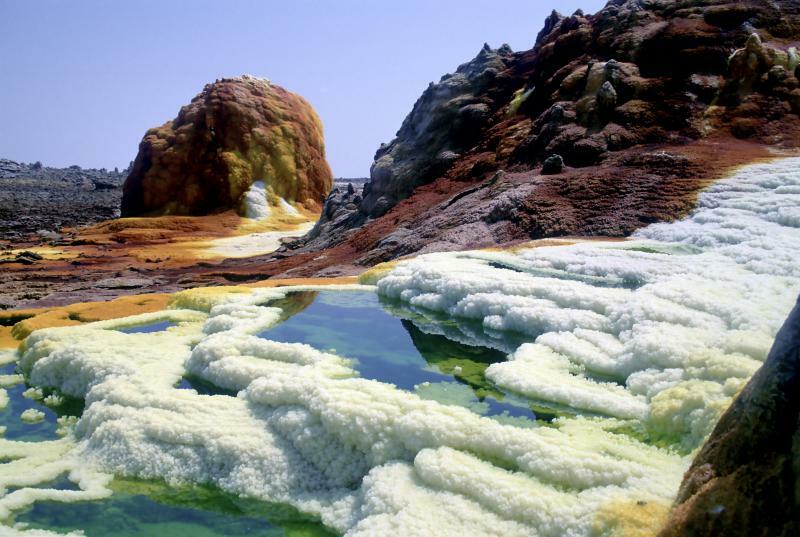 It is located on the border between Eritrea and Djibouti and its lowest point is 116 meters below sea level. 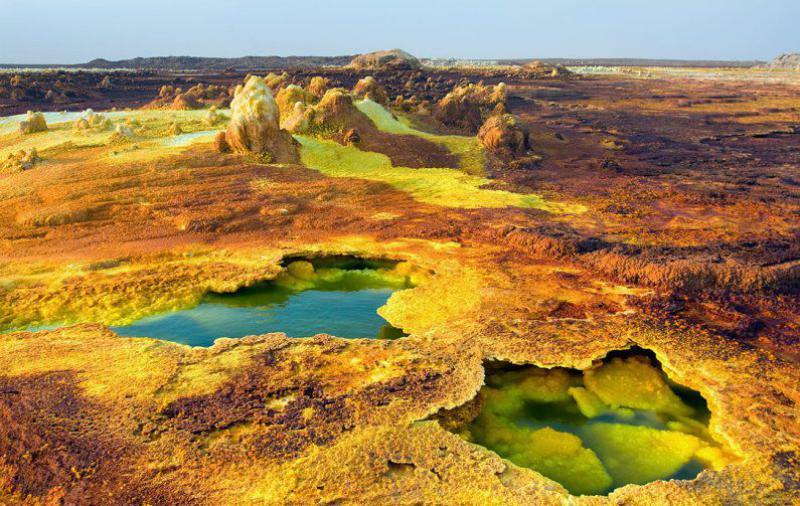 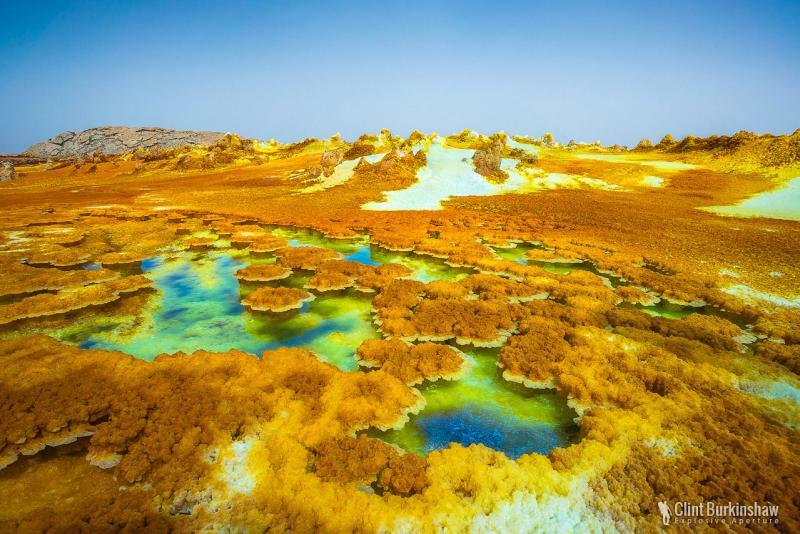 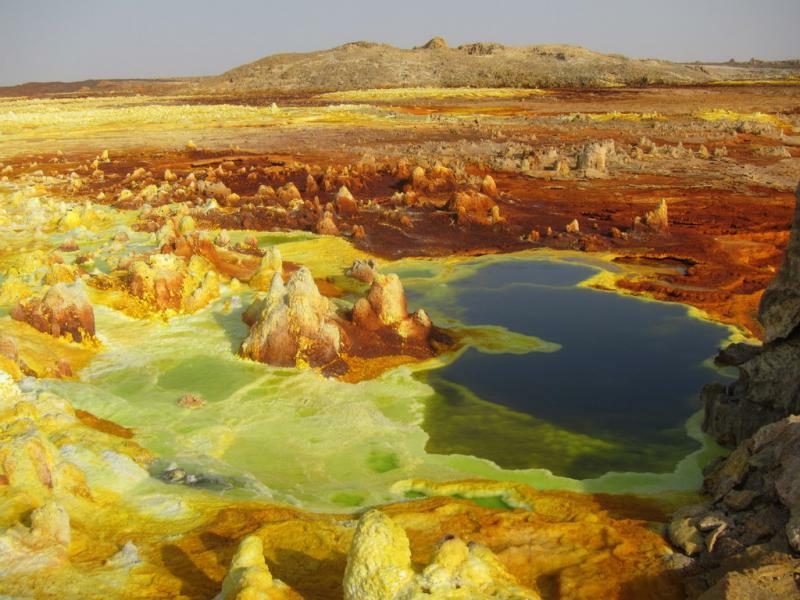 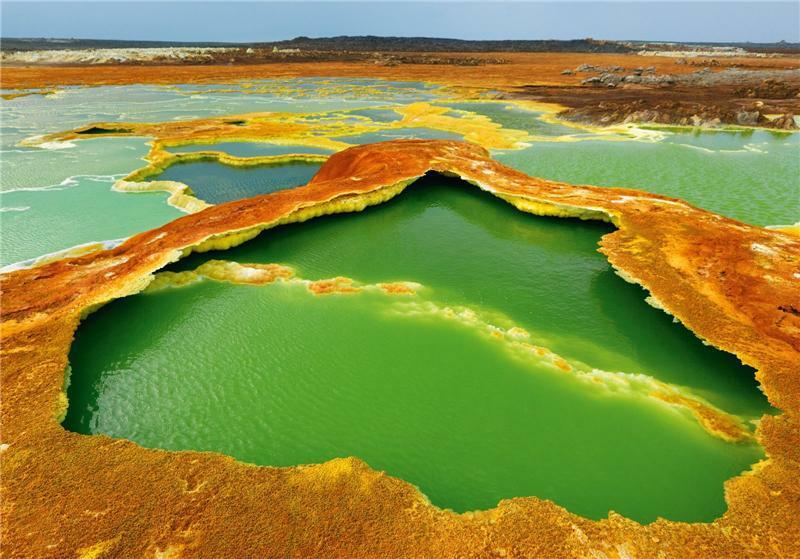 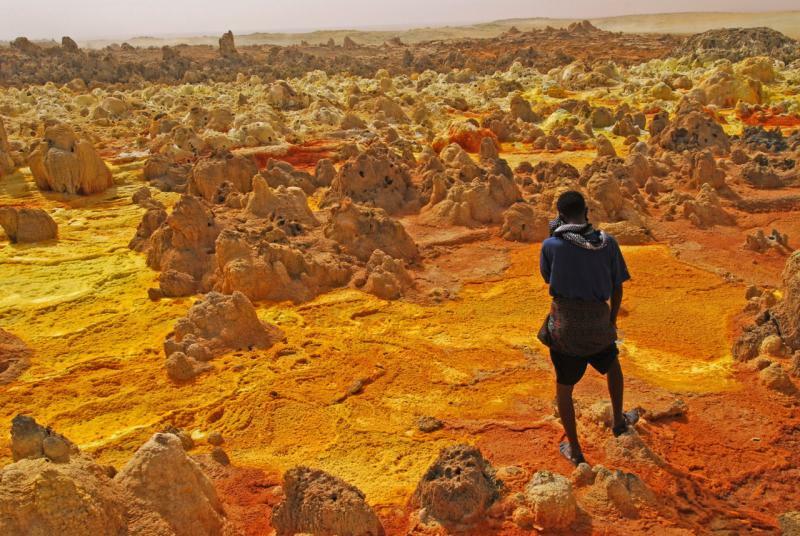 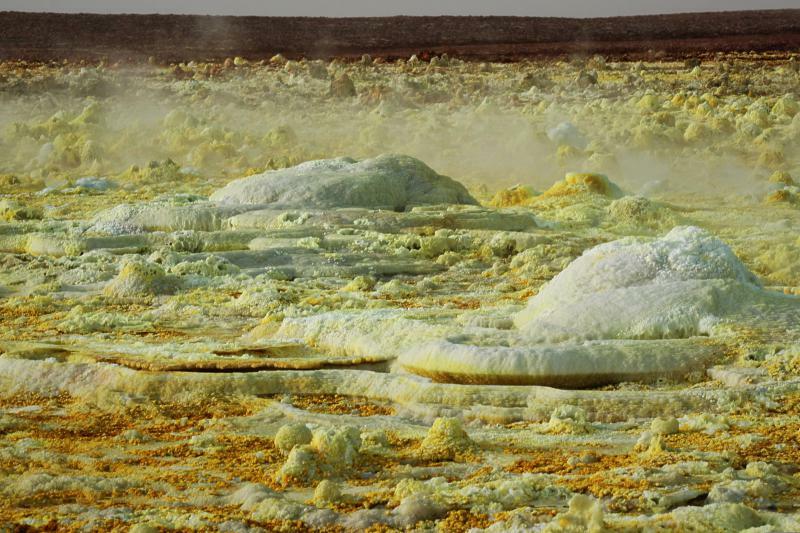 The hot desert is only a part of the whole picture, the Danakil Depression is very seismically active, so what we get is a lunar landscape with barren land, volcanoes, sulfuric hot springs and salt basins. 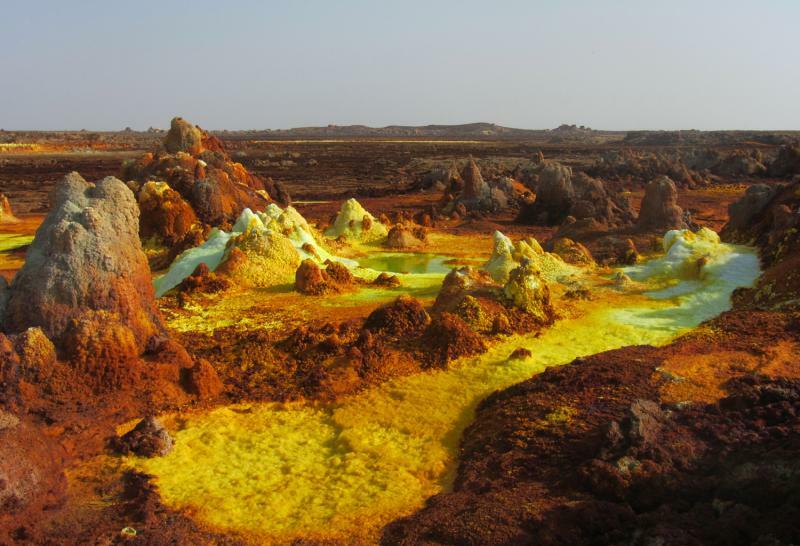 Not the greatest place for a vacation.